The giant floating head in ZARDOZ (1974; below) was most likely "inspired" by the giant built-in-the-wall head in ULYSSES AGAINST HERCULES (1962; above). Aside from the eyes and the "mullet" in the Exterminator god, it's almost identical. Maybe they borrowed it. Can it be possible that they actually did? I think that if it was copied there would still be something different about it. 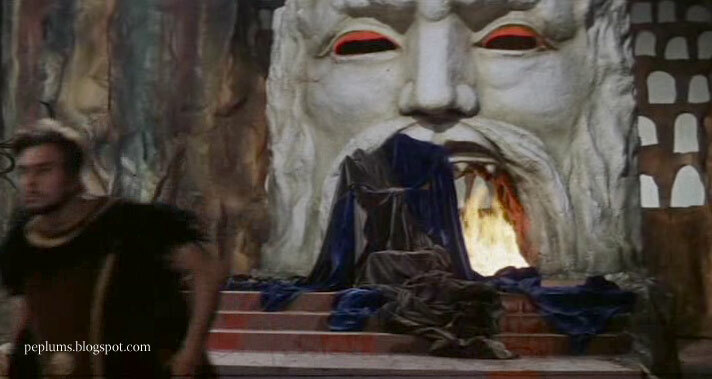 The one in ULYSSES AGAINST HERCULES is a set while the Zardoz one was a model. John Boorman most likely saw the PEP filck and copied the design. 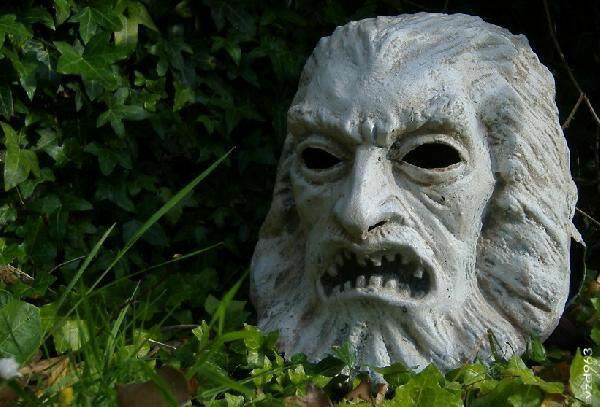 I remember seeing Sean Connery starring in Zardoz. At the end there was some kind of transformation scene and I remember it very well because it was the first time in my life that I heard Beetoven's Second movement of his Seventh Symphony played. It was one of the most beautiful things I had ever heard in my life, and began my love for all things Classical. The original design for Zardoz himself was a huge floating rock, inspired by a Magritte painting. 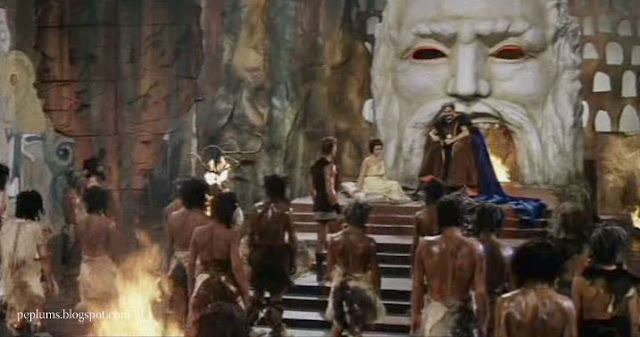 When Tony Pratt the Production Designer come on board, that got changed to represent the face of the most terrifying God he could sculpt, and the followers of Zardoz, the Exterminators, wore masks of the same face. That last photo is actually of one of the masks - and I know, cos I took it!